Firstly, I'd like to say thank you for visiting my gofundme page! Secondly, what brings you to my page - well, hopefully, I'm going to be able to give you a few reasons why you are on my page and why you should help me to reach my long term goal of competing in a Paralympic event. My name is Drew Walker and I'm 24 years old. 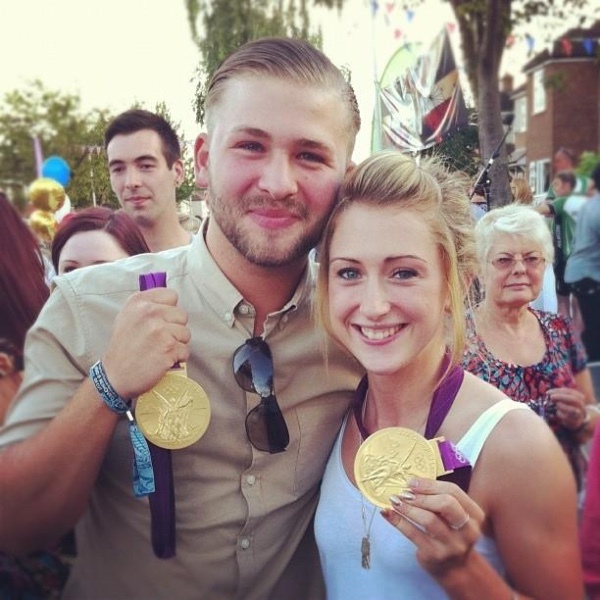 I currently work at the Laura Trott Leisure Centre as a Gym instructor / Personal Trainer. In December 2015, I visited the Manchester velodrome, a girl from my old school had won 2 tickets to ride on the velodrome and meet a few professional cyclists. It was more of a corporate event, and everyone that was there knew somebody and didn't really look like they were into cycling. 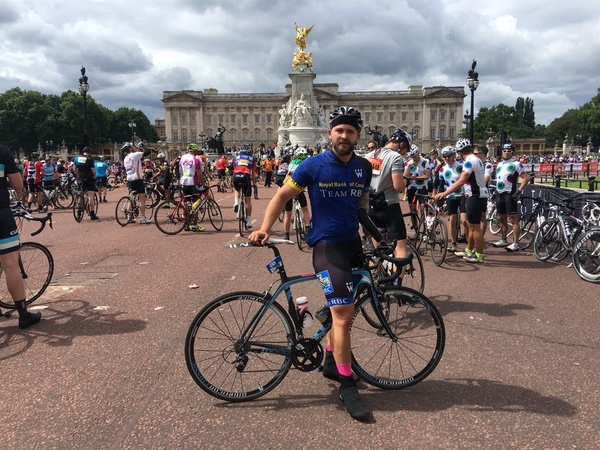 I was only cycling recreationally at the time, having recently taken part in the Prudential Ride London. So, I headed down to Manchester where I got to ride on a velodrome, something I'd always wanted to do. 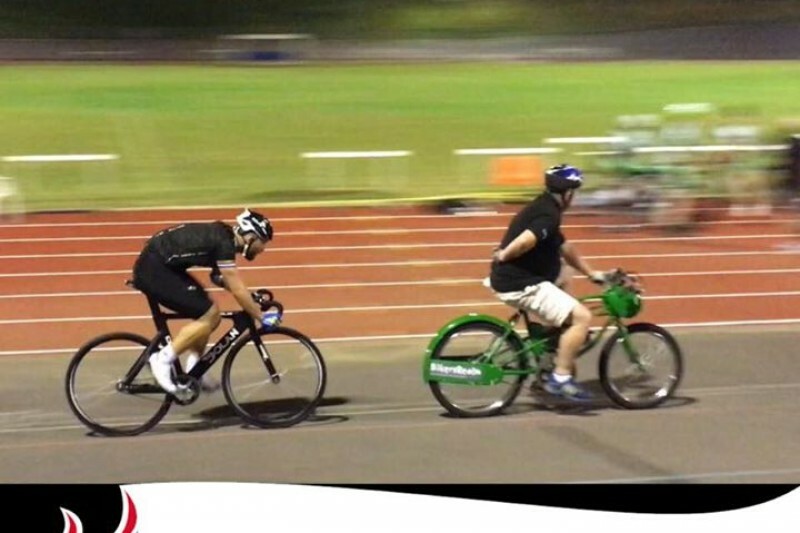 When I was riding on the track, we were being taken around by Craig Maclean (Olympic and Paralympic cyclist). Craig spoke with me after and told me to email him as he said he could see some potential in me. As a result, I recieved an email from British Cycling in January saying they wanted to test me - I was over the moon! This lead to me being tested in February. My results showed that there was some potential there and because of this, I was given a coach who I work with on a one to one basis. In June I was invited to a 4 day training camp run by British Cycling which I attended - this also went really well and lead to more testing and another invitation to a training camp at the end of October (this month). This has happened very quickly, and has meant that I've needed to adapt a lot - my lifestyle, my work, and also adapt my bike. I needed to get a track bike and posted about this and I was fortunate enough to be sponsored by Kieran Trippier (Tottenham Hotspur Footballer) who kindly brought me my amazing bike. The reason I have set up this page is so that I can get to the next level of cycling and potentially reach my long term goal of competing in a Paralympic event. Without the right equipment it will be pretty difficult to do this. I need a new prosthetic arm, which has been quoted at £3,500 - know! I've tried the second hand shop with no luck. . .! So I appeal to you to help me raise the money for my new prosthetic arm. To get the new prosthetic arm, the payment has to be made in full. And work cannot commence until the full payment is made, I will need this new prosthetic ASAP as I have a major event in January - Track national championships. I will also need to attend two, two week training camps in Febuary next year, the cost of these will be around £2,000 for each fortnight. I created this page almost a year ago and I'm so grateful for everyone's help with getting me my prosthetic arm, sending me on my training camp in February to Majorca for 2 weeks and help fund the cost of travel/races and equipment costs. I honestly am so grateful, 140 people donated with an average donation of £69. That's pretty epic! Moving forward I need to really start thinking about part time hours at work / full time athlete. But this comes at a cost. And is when sponsorship comes in. In November I have a major event which I'm aiming for a serious personal best. The closer I get to my goal time the more likely I am to get a spot on the podium squad whereby funding is out of the question as you get everything funded for you. Until then, I need that extra boost to get me to that point and I'm hoping that within the next 6 months to a year I can reach that goal of podium programme. On Saturday I'm off to Newport on a camp with the other foundation programme riders for 5 days, these camps that I'm going on are part funded, as I'm out of annual leave at work I'm having to take unpaid leave to attend and losing out on my wage. Prudential ride London 4hours 57minutes. Thanks everybody for all your support, today I had a fitting with my new prosthetic arm and luckily it fit! Not the most aesthetically pleasing yet, but it's just the first prototype. I'm really looking forward to using the arm in Derby on Friday!! As you're all probably aware, the prosthetic arm costs £3,500, which is all paid for. The rest of the money from my target will go towards 2 training camps. Which are around £2,000 each. I never thought that I would get anywhere near my target let along reach it. All money above this target will help me SO MUCH with my training as there's lots of ongoing cost which I have to fund, the excess money will be going towards a specific nutritional diet, upgrades and repairs to my bikes, new race wheels, travel costs - flights to different races and hotel stays near races. Non essential but really helpful equipment that will help me to progress - power metre for my bike (around £1,000) power metres are amazing pieces of equipment that measure your power output which helps to stay in correct training zones. Good morning guys! Without your help I wouldn't be able to grab life with both hands, thank you everybody who has donated. 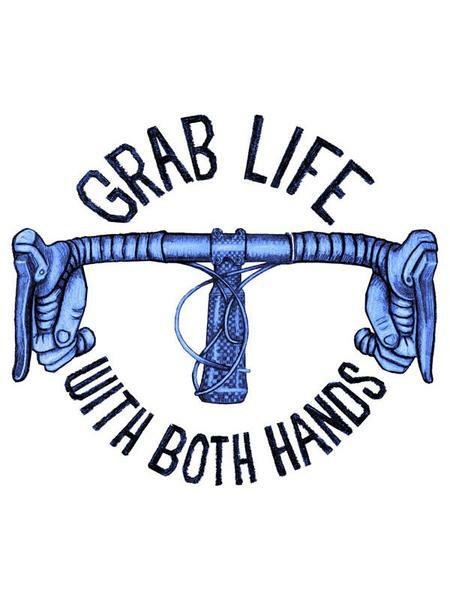 It literally is enabling me to grab life with both hands. 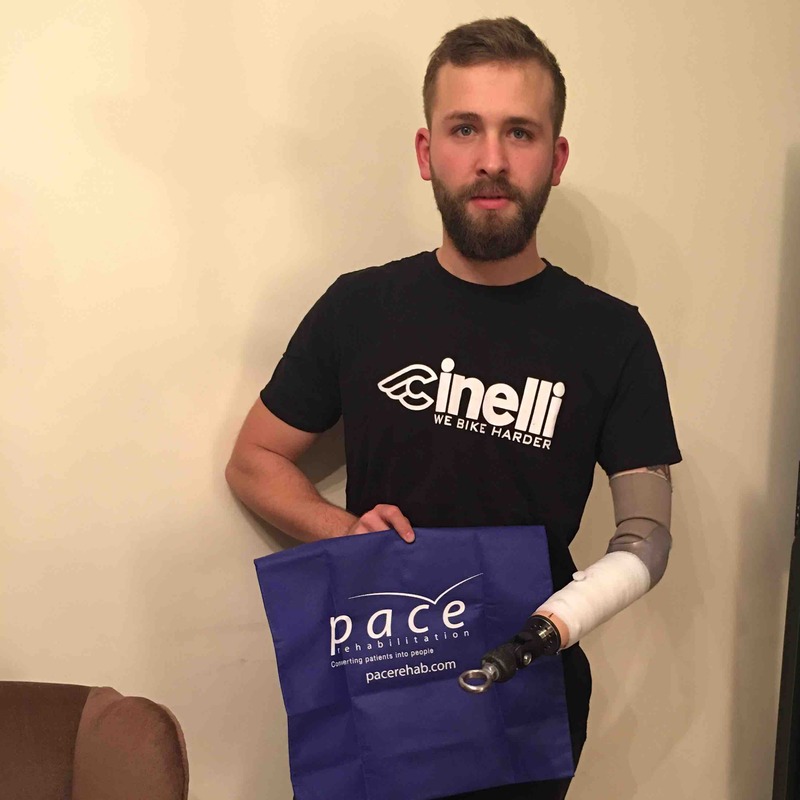 I have my first appointment booked at Pace Rehabilitation unit on 30th October, where they will take casts of my arm and run through the specs of the arm. Exciting times. Beforehand, I have a training camp in Derby a week today, will be keeping this updated throughout the training camp. Fancy potentially helping me get one of these bad boys? Do you believe in me like I believe in myself?